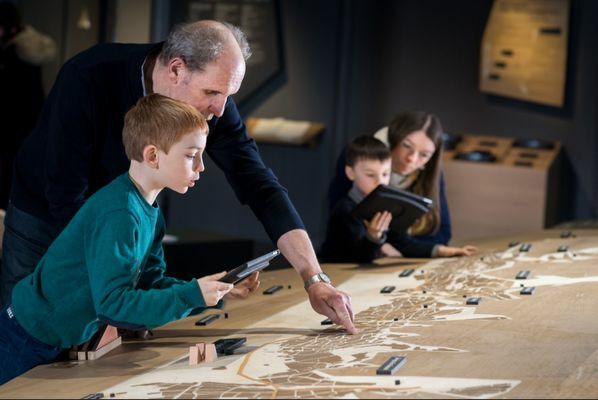 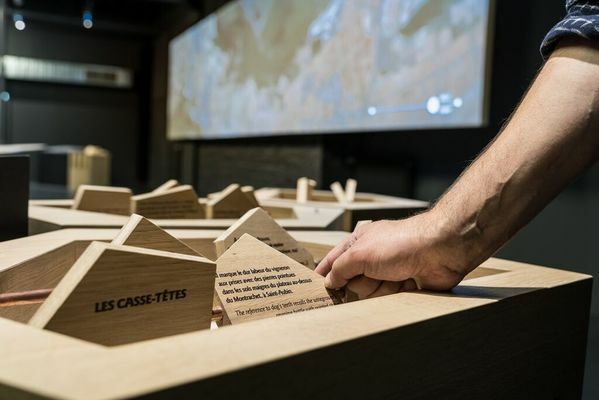 Conceived as a place of interactive discovery for young and old alike, this exhibition immerses you in the world of the “Climats” (vine-growing land parcels) using a large-scale model of the vineyards, multimedia content and various fun-packed tables. 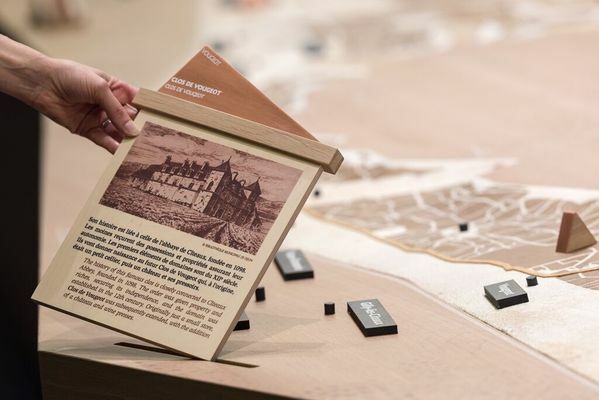 - A 9-metre model showing the perimeter of the World Heritage site, on which you'll find the 1247 parcels, 40 communes and 11 main points of interest within the site. 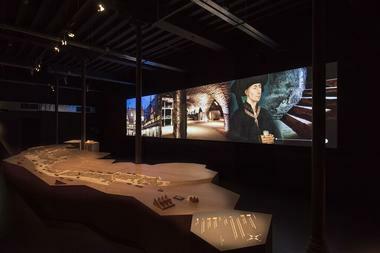 - 2 operating blocks dedicated to geology and toponymy. - A living fresco 9 metres long and 2 metres high: large-scale projection of a film that describes the landscapes and heritage of the World Heritage site, accompanied by a 3D sound system. 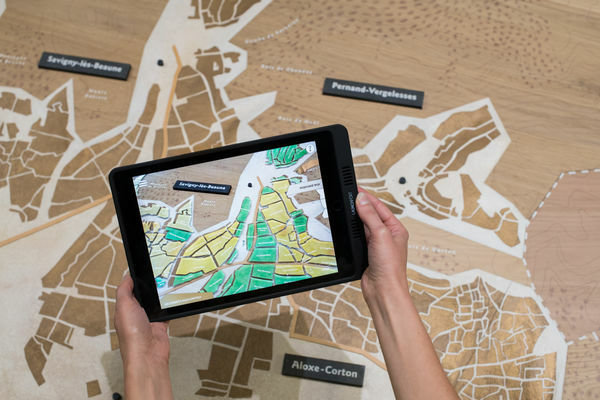 - Tablets on site which include a digital augmented reality application. 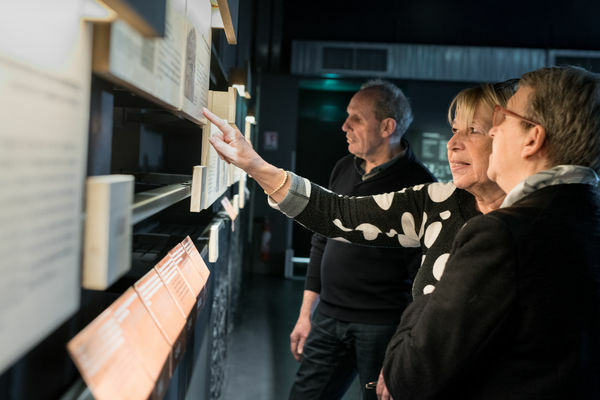 Coupled with the model, the application lets you zoom in on a plot, view the names of the Climats by village, and access real stories and additional content on the history and heritage of the Climats. - An independent mobile application for you to download free on Appstore. 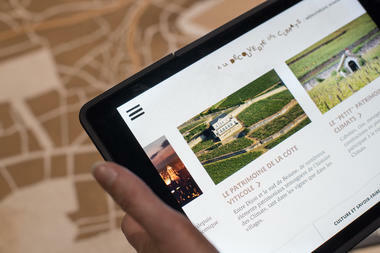 It provides access to the same content and will eventually be linked to the Climats interactive map available to view at www.climats-bourgogne.com.